Many of us have grown up having animals as companions as we grew up. I believe that these dogs and cats and perhaps you had any number of species of animal teach us to become better human beings. Do you love animals because of those early years? Their unconditional love touches us and strikes a deep chord in us. When you look into their eyes you understand that they are also sentient beings on this beautiful planet we call home. Many of us may remember Jon Stewart from the Daily Show. You may be wondering what is he doing with his life now? Why do I bring him up in the context of animals. You may have wondered what is he doing now that he has given up being on TV on a daily basis. Jon’s wife Tracey has had a love of animals her whole life. How has this passion for animals not only grown into a best selling book Do unto Animals, but it also caused Jon and Tracey to change the course of their lives. What changed for Jon because of his wife’s passion? Jon and Tracey bought a farm in New Jersey and have made a commitment to be a part of the Farm Sanctuary Movement. This dramatic shift in what happened to the Stewart’s put me on a path of not only thinking about my own love of animals but also what is possible in a person’s life when they have the money to do what they really love and be able to teach their children the values they hold most dear. Do you love animals and want to make a difference? We all want that our lives to be better and that we can co-exist in harmony with the many people who live in our communities, our country and our world. 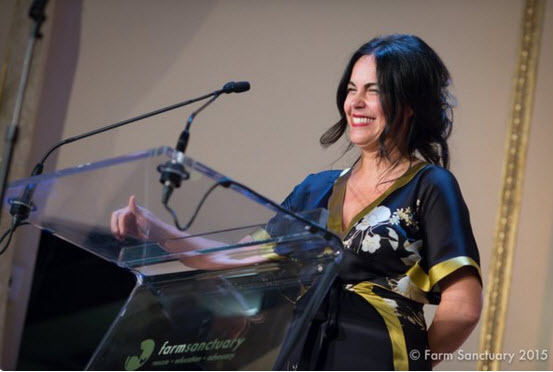 I have been touched by what Tracey Stewart wrote about how we can live and make the lives of animals better and would like to share with you what I’ve learned from her. Tracey is a strong advocate of volunteering at local shelters, getting to know the animals in a shelter so that information can be provided for help in finding these great animals a forever home. She and her children were regular volunteers at their local animal shelter where they made toys and played with the animals. Doing this allowed them to learn more about who that dog or cat was. They then wrote a profile about the animal. This way the person looking to adopt knew more than what they initially saw through the cage they were in. 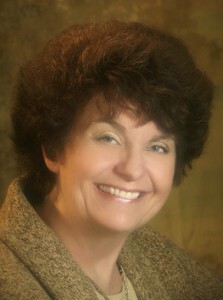 Tracey has done a beautiful job of taking a very holistic approach as she has written this book. She looked all the animals and bugs that we live with. She taught her children bird watching and the things they do to nurture their bird families and the insects they eat She taught them that every animal needs to eat and a place to thrive. I believe this is an important lesson for all of us to remember. How does all wildlife fit into Tracey Stewart’s work? She planted gardens that were not only beautiful to look at but served other purposes as well. She has flower gardens for the butterflies and the bees. She made a case for what to plant to provide food for the butterflies and the bees. We no longer have as many of the beautiful orange monarch butterflies, because there are no longer as many places for them to nest. Our butterflies are part of the pollinating family. They pollinate our flowers. 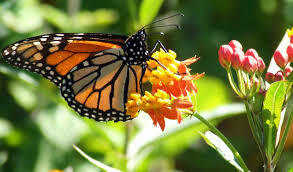 Adult butterflies are attracted to white pink, purple, red yellow and orange flowers. Blue and green flowers are butterflies’ least favorite. Bees can see yellow, blue-green, blue, and ultraviolet. They can’t see red or green and are warned off by black. Having a garden of many colors, keeps our gardens healthy and keeps our pollinator’s busy. I did not know that milkweed is essential for the butterflies can lay their eggs. Planting more milkweed is a benefit for the monarch butterflies. Milkwood is part of the agenus of evergreen trees and shrubs. If you look at the map you’ll be able to see the path of the Monarch’s and where the Milkwood trees are growing. The map indicates the summer monarch production area. Production generally increases from S to N and decreases from W to E. Fall monarchs with the highest probability of reaching the overwhelming sites in Mexico originate from the area outlined in yellow. I learned that spraying our plants with a solution of garlic spray will help keep the bugs from eating all the leaves It still allows the bugs and plants to survive. This works for our vegetable gardens as well. As she said everyone needs to eat. She encourages us to provide habitat for our bees, because we so need them for pollination. She also pointed out that when we plant more flowers it helps support our bees which are in trouble. 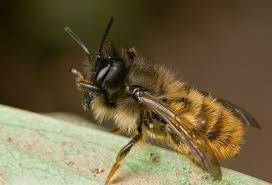 I never knew about the Mason bee, which is different from the honey bee and the bumble bee. This bee is a solitary bee that is her own queen. She builds her own nest, and is her own queen. 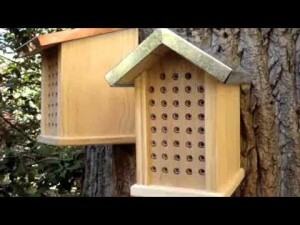 She builds her own nest, , collects her own eggs without any help from other bees. She said it’s important to know the differences in our bees, She gave instructions on how to build a place for nest making. I’ve included a picture here. If you watched Tracey in the video she talked about the glorious moment she had with a pregnant cow. The cow was pregnant and down and was not able to deliver. Sometimes this cow is sacrificed and sold to the slaughter house. In this case they decided to use a lift to lift the cow and put the cow in a pond, where they massaged her legs and she was again able to stand up and able to deliver her calf. Tracey was very moved when it was all over to see that all the cows in the meadow came to see the newborn calf and welcome to welcome her into their midst’s. Why does Tracey have such an emotional connection with cows? Tracey has a real love for cows. Cows are deeply emotional, very attuned to friends and family.they love soothing music and like elephants they never forget when someone has wronged them. The bond between a mother and her calf is strong and they will stay side by side grazing together for years. The cows also babysit for each other. 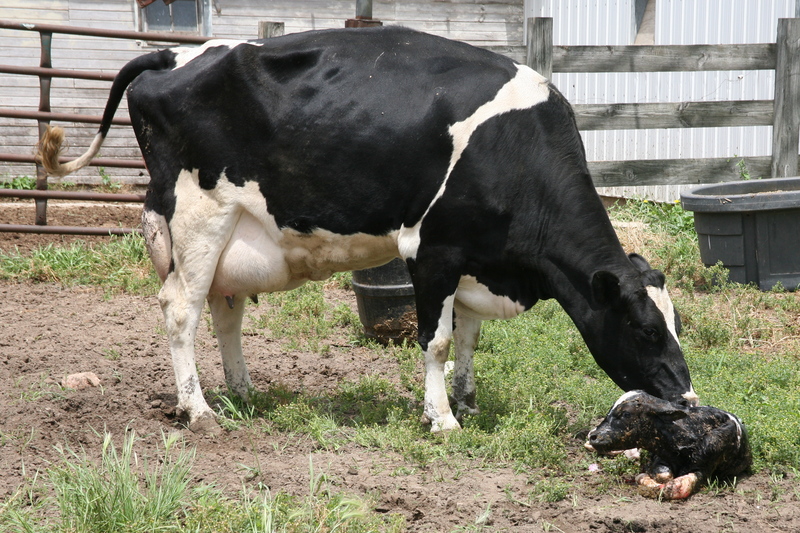 The pain a mother cow feels when her baby is taken from her is very painful. You can feel it when you hear their moo. 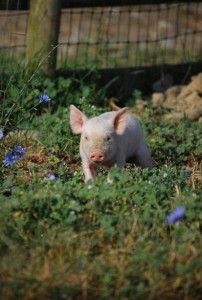 Do you remember Wilbur the pig from the book “Charlotte’s Web”. Tracey talks about pigs being a smarter version of our dogs. She gave some data on the treatment of pigs that has me wondering why PETA and the Humane Society are not coming unglued about the treatment of these poor animals. Maybe it means we all need to be more aware. 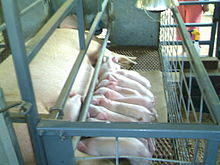 What she described were pigs that were put in a cage with pipes where the female pigs are held for impregnation and then delivery most of their life in a gestational crate. The Sow stays in this 2 foot wide crate that sits on a concrete floor for her entire pregnancy which is 274 days. They don’t have enough room to turn around. Once she delivers her piglets, she gets impregnated again. 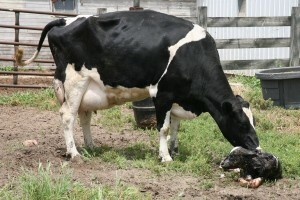 She has 2 ½ litters a year for 3 or 4 years before she goes to slaughter. Some go insane trying to chew their way out of their cage. When I did my research on gestational crates this is what I found: In the United States, the progress and no progress is documented in Wikipedia and is noted below. In the United States gestational crates have been banned in Florida since 2002, Arizona since 2006, and California since late 2008. A Rhode Island law banning the crates, passed in June 2012, took effect in June 2013. They are also being phased out in Colorado, Maine, Michigan, Ohio and Oregon. As of 2013 New Jersey had a pig population of about 9,000 none of which, according to the Humane Society, are kept in gestation crates. In survey conducted in 2013, 90% of New Jersey voters were in favor of banning the crates. In June 2013, Governor Chris Christie vetoed S1921, a bill to ban pig the gestation crates. which had passed in the General Assembly with a vote of 60-5 and the Senate 29-4. An attempt to override the veto did not come to a vote. In October 2014 the New Jersey Legislature adopted S998 with a vote in the in Senate of 32-1 and in the Assembly 53-13 (with 9 abstentions) On November 27, 2014 Christie vetoed the bill. How are farmers penalized by big corporations and why are they trapped? Her love of animals continued with her love of goats, sheep and horses. She also has turkeys, chickens, ducks and geese. She points out that Corporations are taking the ability of family farmers to enjoy full ownership and control over their farms. With what has been happening with the control of seeds and GMO’s, farmers find themselves trapped. The small farmer is saddled with unmanageable debt and forced to be complicit with unhealthy practices and inhumane treatment of animals. It has become almost impossible to compete with the industrial farms.. What Tracey points out is that we are all busy, but there are a lot of us and with our action a lot of good is possible. There are organizations we can become involved with like Farm Sanctuary where we can join their Compassionate Communities Campaign, where we can spread the word about vegan and vegetarian living and educate others about the horrors of factory farming. We can join the ASPCA and become part of the ASPCA’s work to help with farm animals. 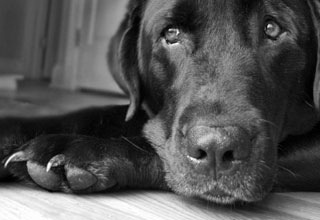 Because of your heart for animals. Here is an additional article on what you need to know when adopting a pet. You will be able to find ways that you can support these farms that give relief to some of the farm animals. Why do I tell you about something that means more about the quality of life we are living? If you are a person who has a lot of heart but is short on resources to be able to do the things you would like to do for your family as well as the environment, you may want to consider your options in how you can bring in additional money to your family. Is there something you would like to do for yourself and your family and you don’t know what to do? Jon Stewart started out as a comedian and didn’t hit it big until the Daily Show on Comedy Central. He worked that show and through comedy helped us make sense of the Political World we live in. He became an Icon and someone we all depended on to make sense of the wild things that are going on in the world. He handed his position off to Trevor Noah. The work he did has now allowed him to become financially free to now pursue and become a Farm Animal Advocate, by buying a farm in New Jersey. What is close to your heart that you would like to do? 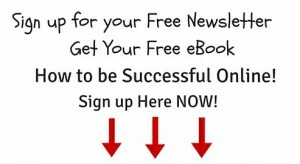 Are you looking for a way to learn how you can change the financial path you are on? 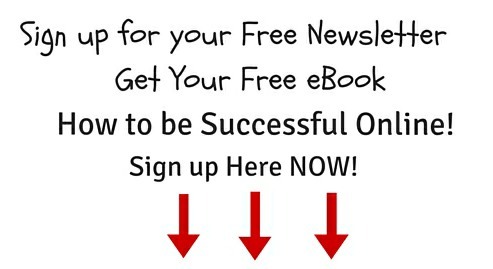 If so you may want to check out how you can learn how to work online and develop a pathway that is right for you If so Click Here to learn more. I hope this article has given you food for thought. I look forward to being your advocate. 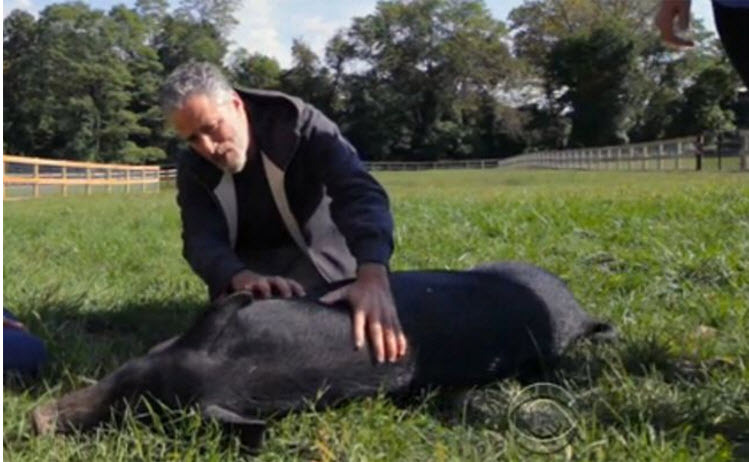 This entry was posted in Personal Growth, What is Possible and tagged Do unto Animals, Farm Sanctuary Movement, Jon Stewart, Tracey Stewart on November 1, 2015 by BoldandBrave.